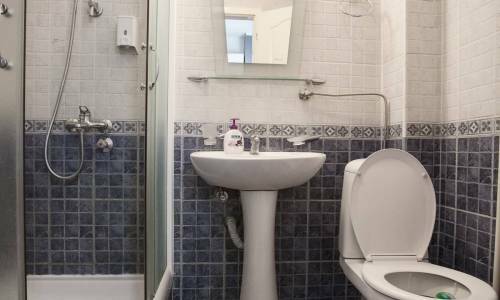 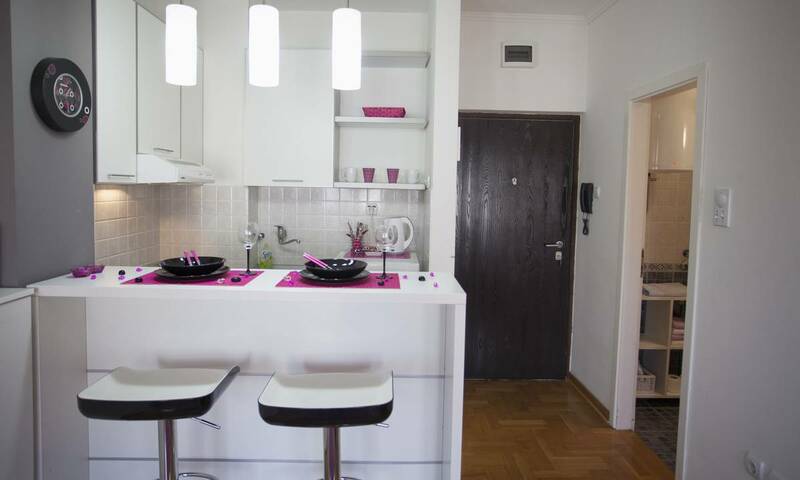 Apartment Mali Buda is located in Dorcol, the oldest urban neighborhood of Belgrade, which lies between the Belgrade Fortress, Students’ Square, and the Danube. 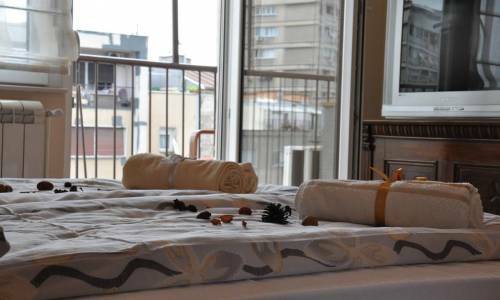 In this part of the city you will get the taste of the old and the new, the traditional and the modern. 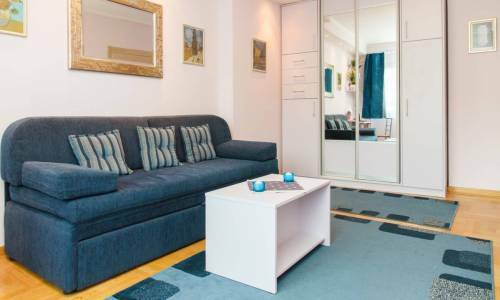 If this is your first time in Belgrade, do not miss the opportunity to visit everything the apartment’s surrounding has to offer - the charming ambiance of Belgrade’s bohemian quarter Skadarlija, Strahinjica Bana Street (more famous as “the Silicon Valley”), Kalemegdan with a zoo and the like. 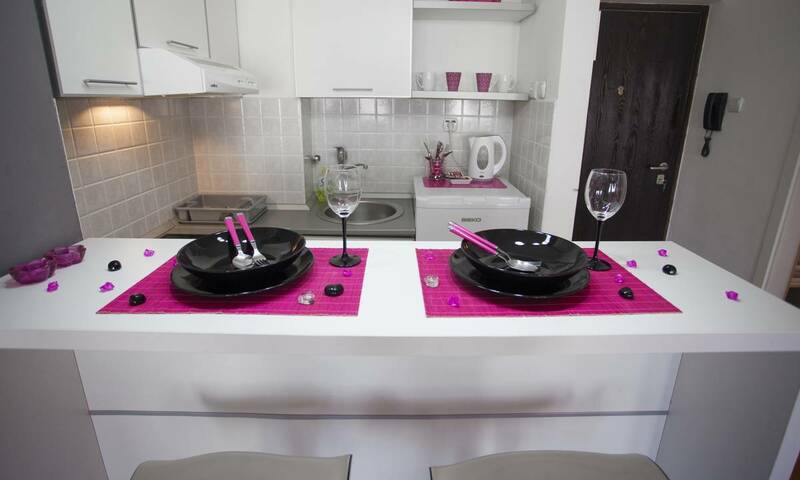 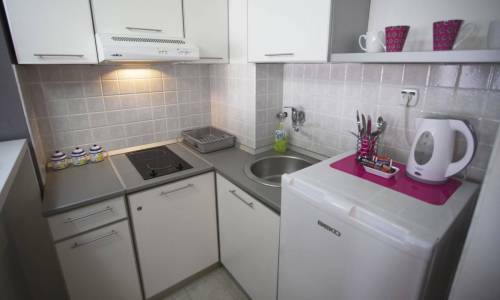 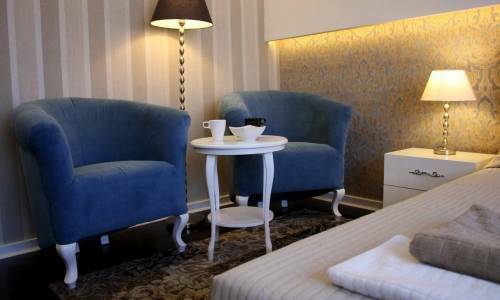 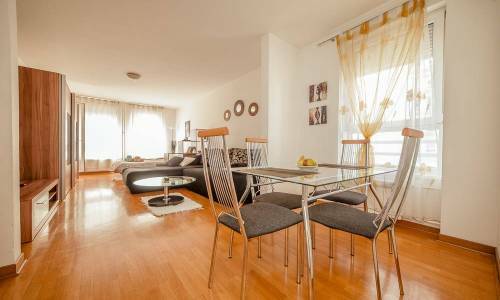 This apartment represents an excellent accommodation in Belgrade, primarily due to its attractive location, but also because of its beautiful and modern interior. 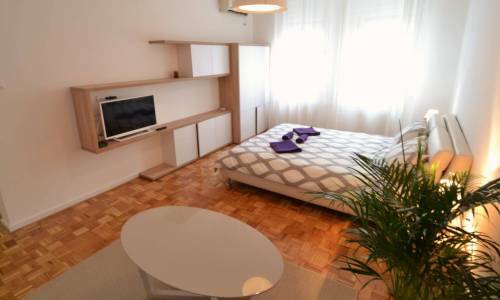 It is located on the 4th floor of a new building and is conceived as a studio. It also includes a garage in front of the building, secured by a remote-controlled door. 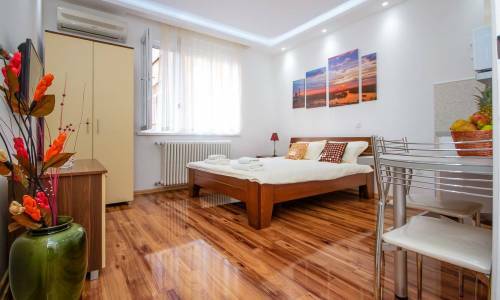 The apartment can accommodate up to 2 people, but it should be pointed out that next to it there is another, bigger apartment, belonging to the same owner – named Buda, which can accommodate 4 more people.